Within the project "Local Leaders in Southeast Europe: Lead for Change" (LL SEE), NALAS organised a two-day Regional Training in Efficient Organisation and Effective Management of Communal Services. 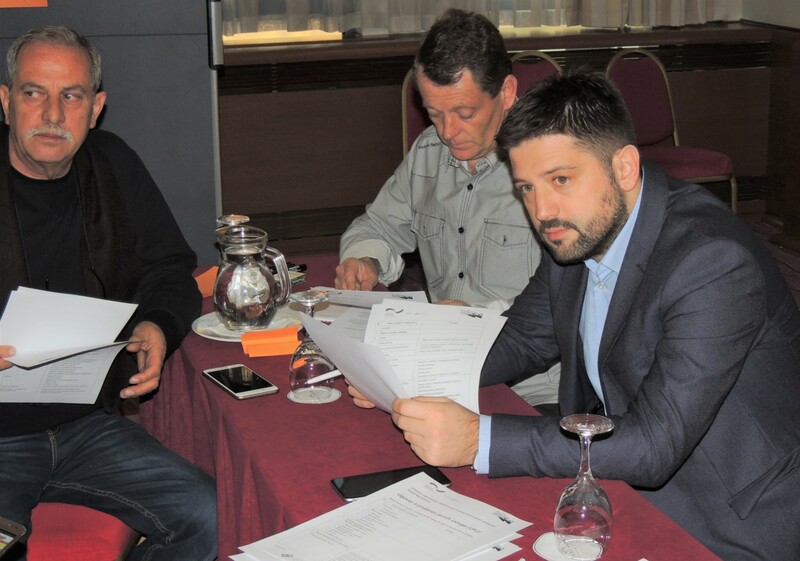 The training was held on 13 and 14 December 2016, in Zagreb, Croatia and covered the topics: Water policy, legal and institutional framework for WSS; Organisation of communal water services at the local level; Financial and operational performance improvement programme; Key areas of improvement: public service agreements and tariff policy; and Tools for effective management, key performance indicators and benchmarking. Seventeen participants, Mayors and PUC Directors from the LL SEE project countries Bosnia and Herzegovina, Croatia, Macedonia and Serbia, took part in the training conducted by a team of LL SEE Trainers Zorana Talic from Serbia, Drazana Halar from Croatia and Dragan Chorobenski from Macedonia. The training is designed according to the LL SEE methodological state-of-the-art competence development and included interactive presentations and discussions, practical exercises and a site-visit to the wastewater treatment plant in Velika Gorica and the newly established Communal Center in City of Velika Gorica. The presented good practices in organisation and management of water and waste water services in the City of Velika Gorica and neighbouring municipalities were a base for group discussion and reflection on the regional experiences and challenges for improvement of the water management at local level and preparation and coordination of EU projects in the water sector. This is proven to be an excellent opportunity for the local decision makers from the Region to exchange their knowledge and gain some new useful skills and it was a nice upgrade of the 20 national trainings held in the spring and autumn this year in the LL SEE project countries.